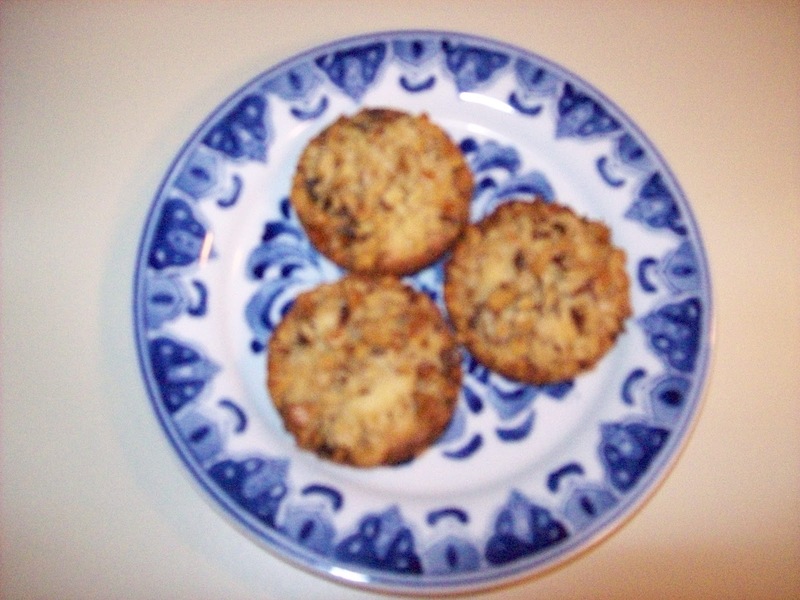 Just in time for the holidays – Carole’s Kookie Recipe. The principles of good design can be applied to any aspect of life – even cooking. The perfect combination of ingredients – whether furniture & fabrics or flour & flavorings – can create a little magic in your life. I discovered the Barefoot Contessa’s Blue Cheese and Walnut Crackers and filled my kitchen & goody boxes with wondrous smells & flavors. I also discovered a recipe for Lavender Cookies which was a disaster until I tweeked it. Just as I like to mix styles of furniture, I found that by mixing these two recipes, I could create an “eclectic” Kookie recipe that even the Contessa would like. Spoon 1 soup spoon full of batter into a buttered muffin tin (I discovered that a piece of parchment in the bottom of the tin makes it easier to remove the Kookies. Thanks to my favorite chefs, Jacques and Julie, for that tip.) Smooth the batter out in the muffin tin. Cook for 15-18 minutes until the edges of the Kookies are golden brown. Let the Kookies cool for about 10 minutes and then take them out of the muffin tin and place them on a cooling rack or, better yet, right into your mouth – don’t forget to remove the parchment or you will have a little extra ‘fiber’ in your diet. The Kookies will have a crunchy outer edge and a chewy inside and the buttery taste will melt in your mouth. Enjoy! BTW – This recipe was a finalist in the RTD cookie recipe contest. As a designer, I did not stop there. I adapted the basic recipe with other ingredients, depending on flavors that I know my family and friends love, to create Designer Kookies. Other favorites are Lemon Kookies and Sesame Kookies. We are kooky for Kookies!